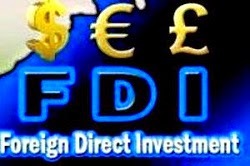 The Biju Janta Dal on Saturday announced to support long awaited Insurance Laws (Amendment) Bill, which proposes to hike FDI (foreign direct investment) limit to 49 per cent from 26 per cent. Senior BJD leader Mr. Bhartruhari Mahtab said, “We will support Insurance (Amendment) Bill with the new amendments being moved by the Government." The party has seven members in the Rajya Sabha where the Bill will be taken up for discussion on Monday. This announcement of the BJD has cracked the unity of Opposition parties as claimed by the Congress against the Bill. The BJP floor managers have been reaching out to non-Congress non-Left parties on the Bill. Eleven Opposition parties have demanded that the Bill should be sent to a select committee of the Rajya Sabha.